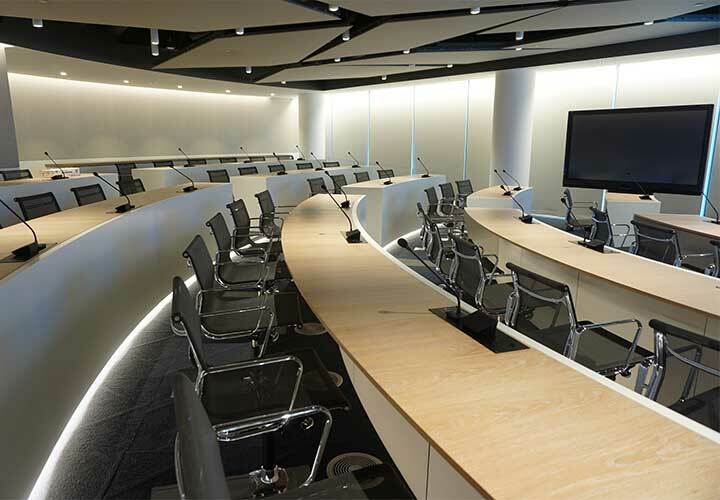 A private theatre with state of the art conferencing facilities to accommodate 100 delegates for training and presentation purposes. 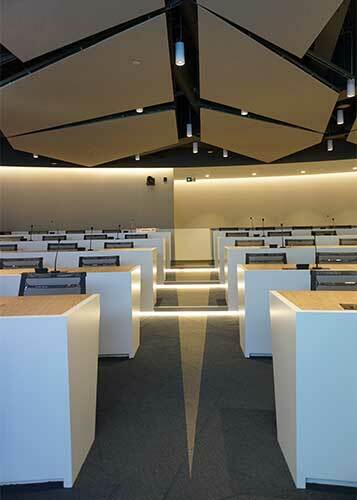 The facility is nestled in a normal commercial space between floor slabs and is part of a wider design intent with adjacent meeting and collaborative spaces. 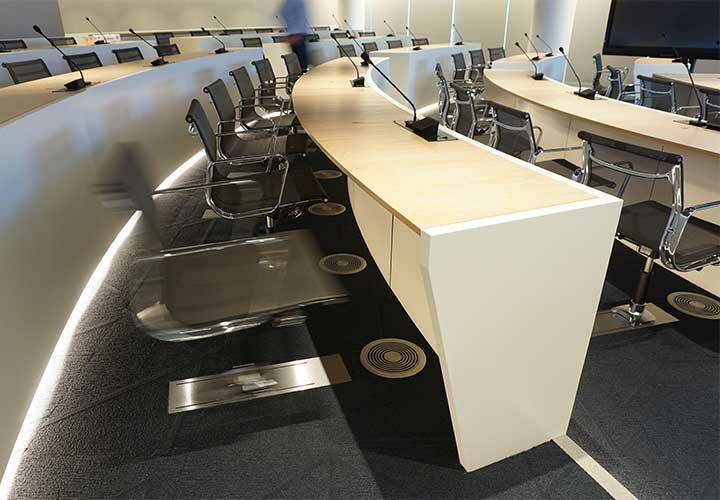 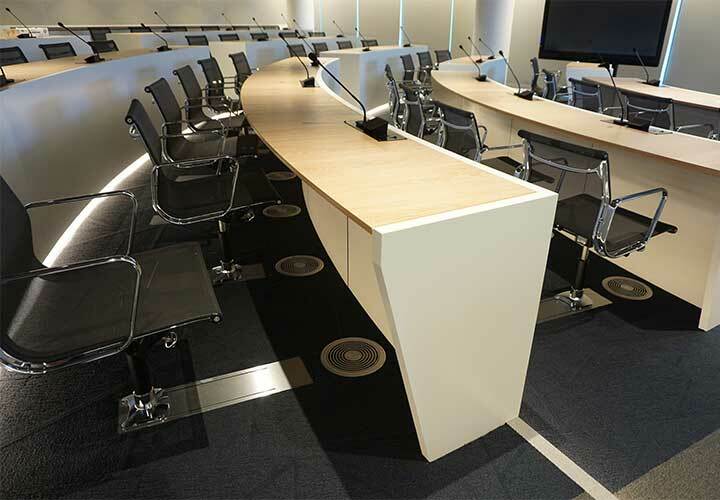 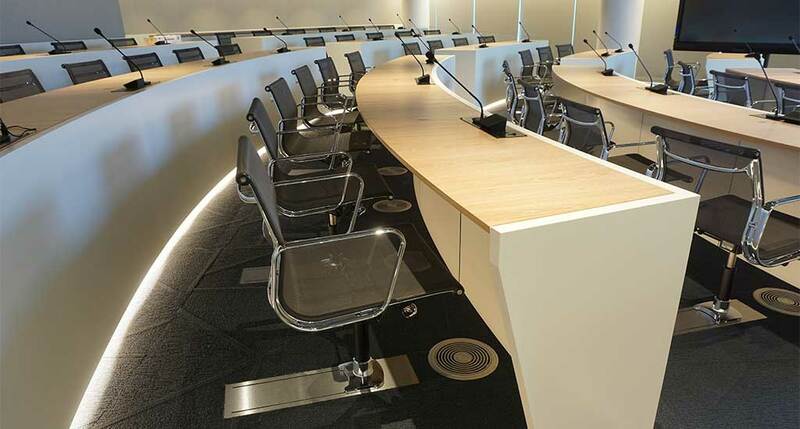 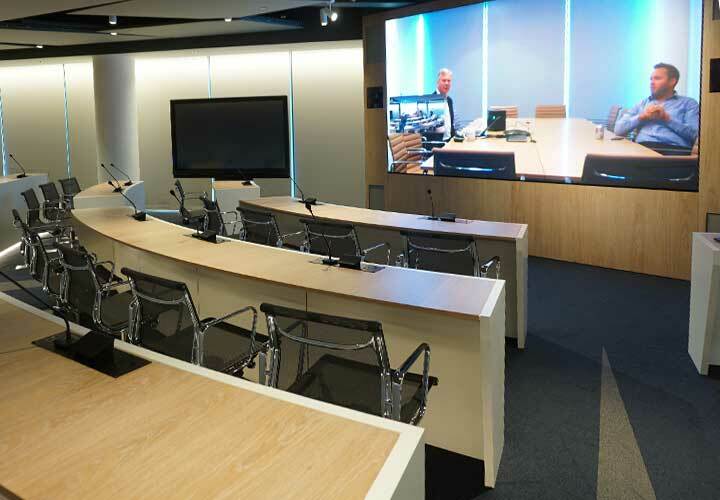 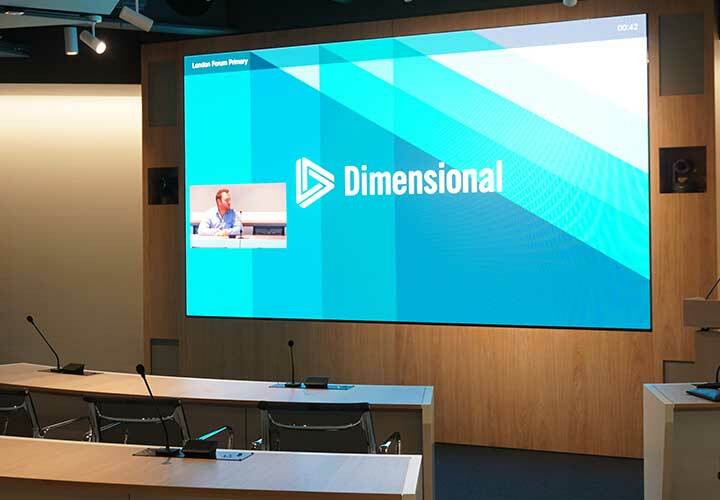 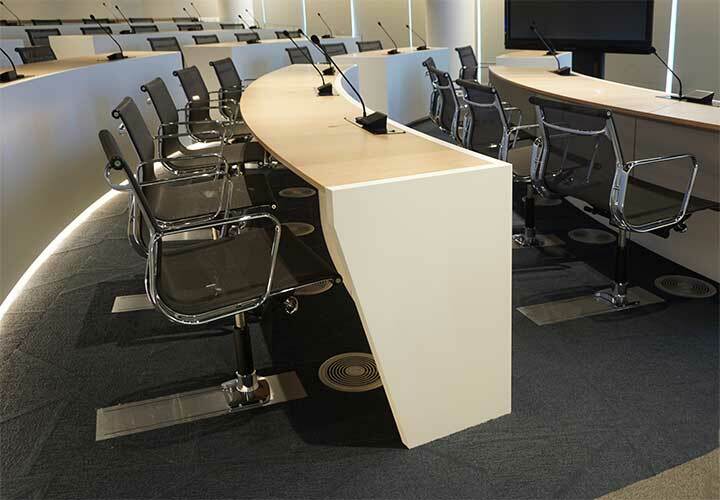 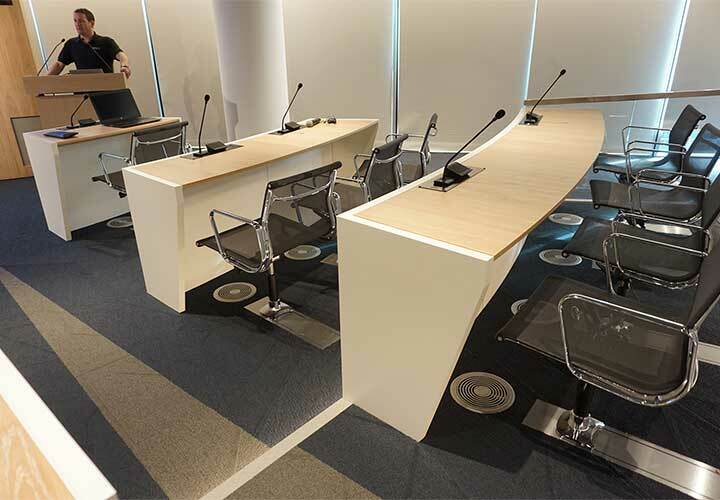 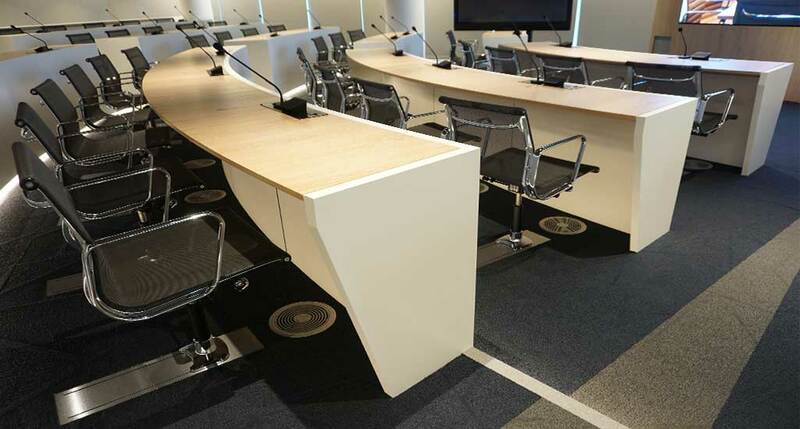 The layout converges to an interactive screen that can pick up anybody speaking in the room and engages other participants in other Client locations with similar facilities. 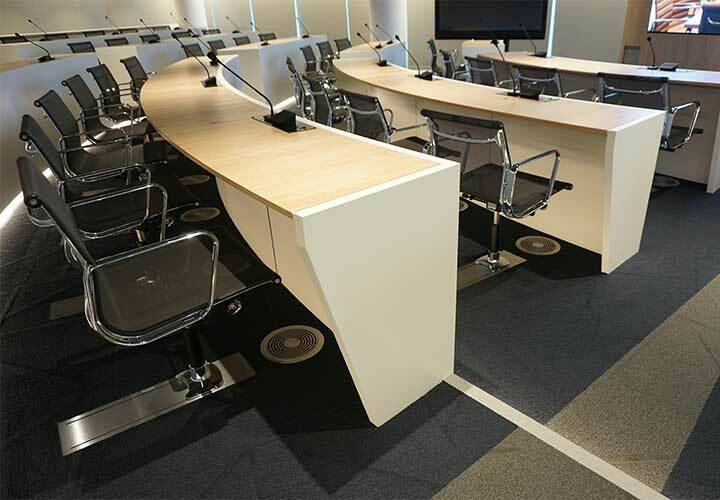 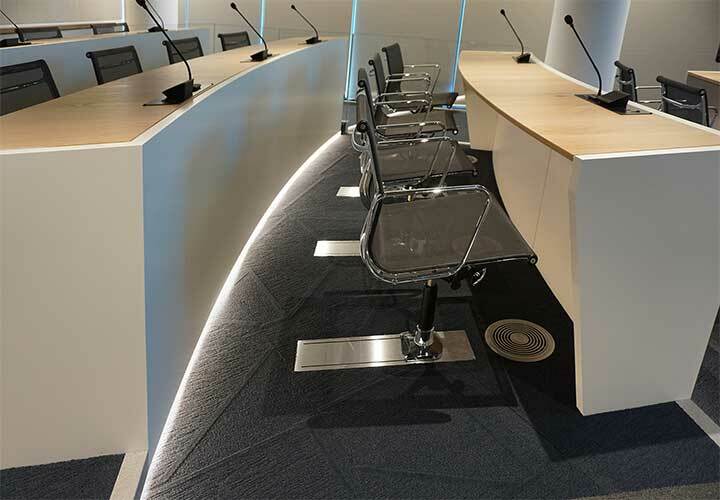 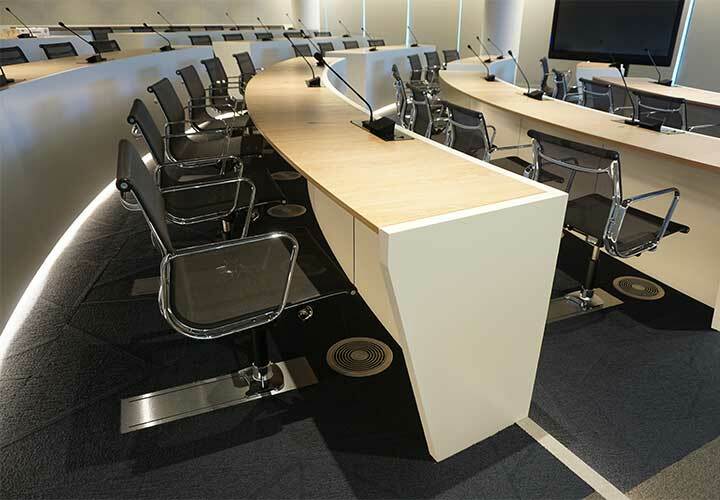 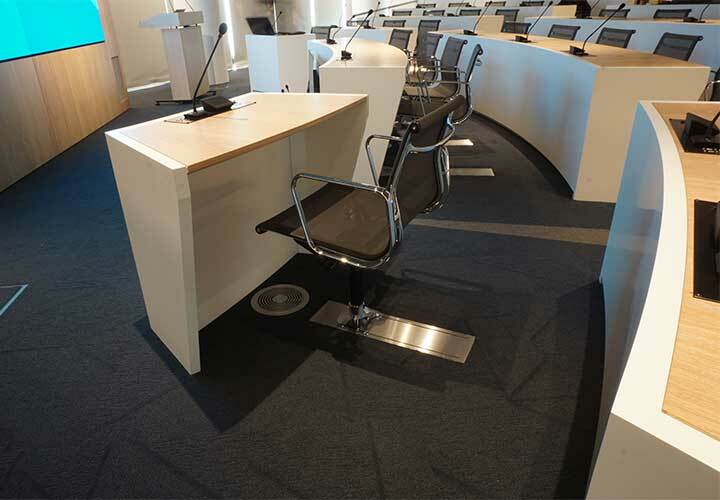 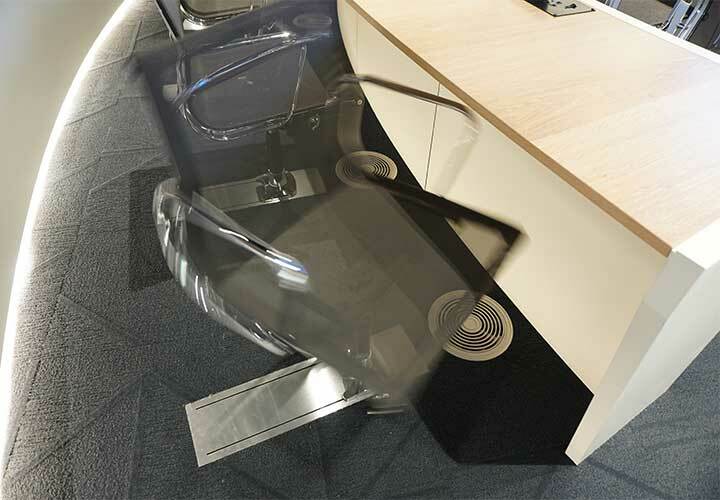 The sliding seat is a key factor in the theatre design, allowing participants to use the bench for writing or typing or simply sit back and listen or speak, with easy access to adjacent positions by other users. 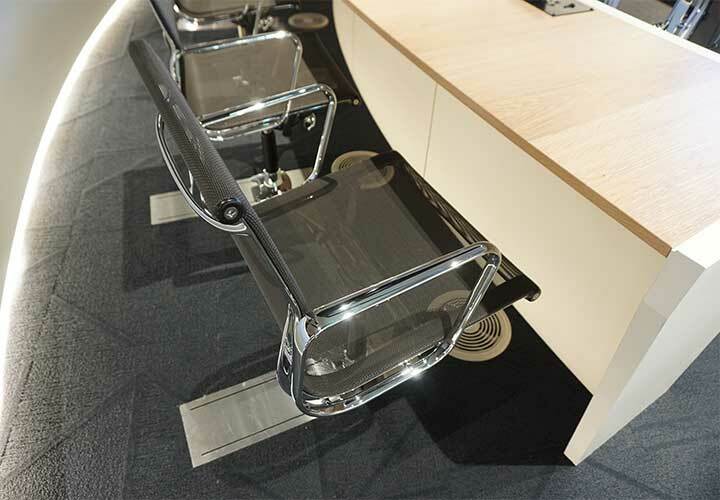 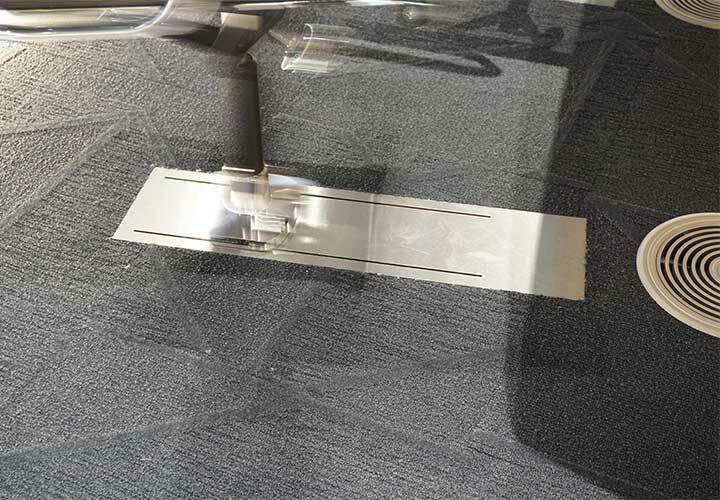 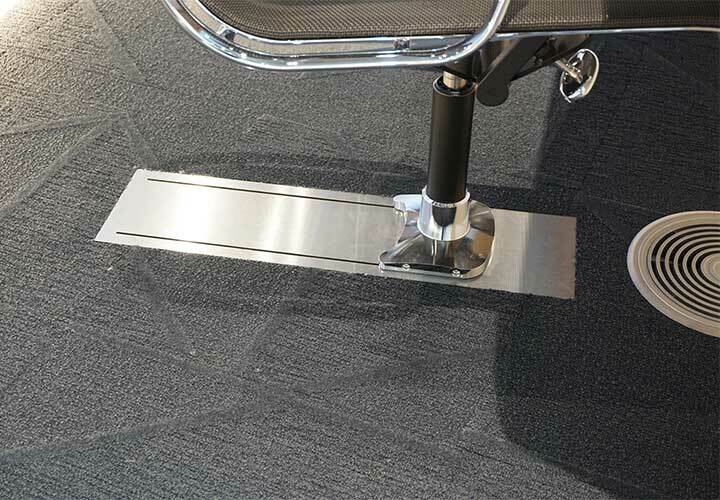 The self-return concealed mechanism operates silently and effortlessly on two rails for increased rigidity and allows the seat to tilt and rotate.